Bangkok Lounge Group, owner of fine Thai dining restaurants in Shefford and Harpenden, has seen its weekly covers exceed 600. Bangkok Lounge Group has grown rapidly since its launch in 2003, with both restaurants establishing a large and loyal clientele. The 66-seat Bangkok Lounge Shefford, for example has increased covers by 120 to 500 per week – a 417 per cent growth rate. As a result, the restaurant has expanded its lounge and cocktail area to further enhance the customer experience. Customers at the 40-seat Bangkok Lounge Harpenden meanwhile, enjoy an intimate dining experience amid its authentic and traditional Thai décor. 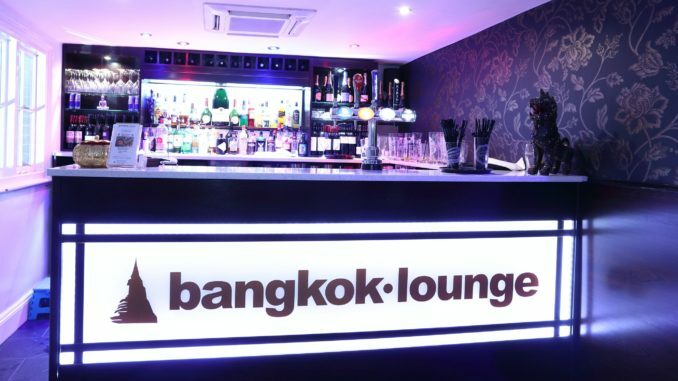 Bangkok Lounge, which is also recommended by Metro Online, is launching a new website and an online take-away and reservations service through www.chefonline.co.uk soon. Bangkok Lounge Shefford has, since 2014, been the main kit sponsor local football club Shefford Saints Juniors FC’s 26 teams and this year, hosted the Shefford Annual Duck Race for the 19th time. The event raises funds for the charity, Acorn Pre-School and the Mighty Oaks. Acorn Pre-School is the only community pre-school in Shefford and, as a charity, relies heavily on funds raised at events such as the Duck Race. The Mighty Oaks is the breakfast and after-school club for children who attend the pre-school and pupils at Shefford Lower School. Bangkok Lounge Harpenden received a certificate from Nationwide Building Society in recognition of its charity work. Bookings at Bangkok Lounge are not always essential, however it’s advisable to call in advance on 01462 338287 or 01462 338292 (Shefford), 01582 461282 or 01582 469383 (Harpenden) or email info@bangkoklounge.com to check table availability. To find out more, visit bangkoklounge.com.